During World War II, Nazi Germany led a systematic campaign to loot and plunder art from Jews and others in the occupied countries. 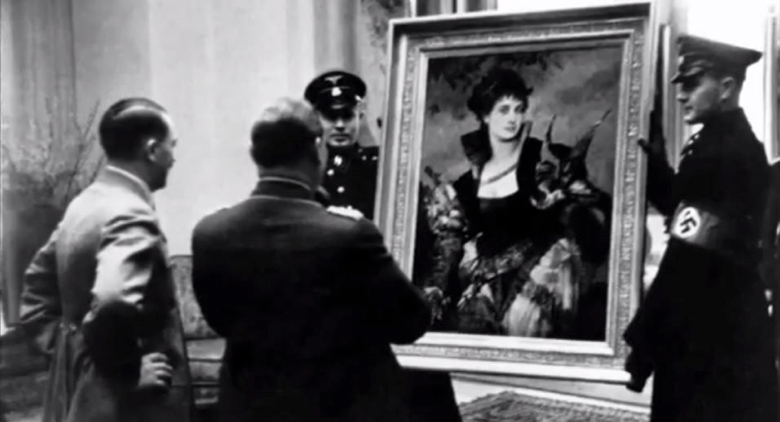 Confiscation of art by the Nazis during World War II has been described as the greatest displacement of art in human history. While many pieces of stolen art was recovered by the Allies in the immediate aftermath of the war, nearly 300,000 art pieces were not returned to their rightful owners or were never relocated. When victims of Nazi-era persecution and their heirs have turned to the U.S. courts to seek recovery of this art, they often lose their cases on procedural grounds — typically with regard to expired statutes of limitations. Current possessors are not motivated to engage in negotiations and settle cases out of court, as they know that the claimants will not be able to successfully pursue their claim in a U.S. court. The effect of this has been to deny victims of the Holocaust and their families a fair hearing on the merits of their case in an attempt to recover their heritage. For more than 70 years, governments, museums and art dealers have prevented the restoration of art stolen by the Nazis being addressed by the courts with various legal roadblocks. On December 16, 2016, President Obama signed the Holocaust Expropriated Art Recovery (HEAR) Act into law, establishing a uniform statute of limitations to govern claims seeking recovery of Nazi-confiscated art. The goal of the HEAR Act is to provide victims of Nazi-era persecution and their heirs a fair and just opportunity to recover art stolen from them. Uniform Statute of Limitations: The statute imposes a six year statute of limitations which commences when the plaintiff receives actual knowledge (or has sufficient knowledge to amount to actual knowledge) of either: (1) the identity and location of the artwork or (2) the plaintiff’s possessory interest in the artwork. Pre-existing Claims: For all civil claims and causes of action whereby the victim (1) had actual knowledge of the identity and location of the artwork or his/her possessory interest in the artwork and (2) the claim or cause of action had been barred by a federal or state statute of limitations, the HEAR Act deems the date of actual discovery to be the date of enactment (i.e., December 16, 2016). Thus, for all pre-existing claims that had previously been barred, the date of commencement of the statute of limitations is reset to December 16, 2016. Sunset Provision: This statute of limitations will remain effect until January 1, 2027. Any claim commenced on or after this date will be subject to any other applicable statutes of limitations. Do you believe that you or your family have a potential claim under the Holocaust Expropriated Art Recovery (HEAR) Act of 2016? If so, please contact Jonathan H. Schwartz, President of the Jewish Bar Association of Michigan, at JSchwartz@jaffelaw.com, or 248-943-1804.